Carbon Monoxide Alarms Save Lives. If you are involved in home energy auditing, building science, weatherization or HVAC, you should be installing and carrying low level CO alarms. Every home you test and tighten is a liability. Testing and retesting my not minimize your liability to the levels that you and your insurance company desire and your customers expect. Because homes are dynamic they need to be treated as so. Even the best contractors cannot predict every characteristic that a home will have or that will change after air sealing, insulating, installing new HVAC equipment, HVAC servicing, changing windows or door or siding. That is the primary reason a low level CO detector should be installed on every job your company is involved with. 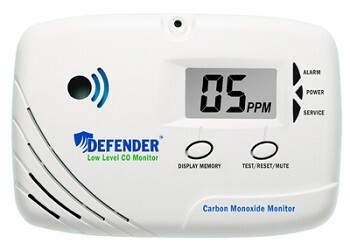 Carbon Monoxide is rightful called the silent killer. Carbon Monoxide (CO) is odorless, colorless, tasteless and moves with the air (does not stratify). 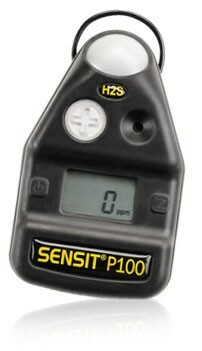 Only specially designed gas sensors effectively detect the presence of CO.
CO poison accumulates in the body so low level exposure over longer periods can be just as harmful as a high level exposure over a shorter period. Why an “off the shelf” detector is not enough. CO becomes (dangerous) toxic for healthy individuals at concentrations more than 50 ppm with continuous exposure over an eight hour period according to the US Occupational Safety and Healthy Administration (OSHA). Reactions to exposure to 70 to 100 ppm CO over a few hours include flu-like symptoms such as headaches, irritated eyes and a runny nose. Exposure to 150 to 300 ppm CO may produce dizziness, sleepiness and nausea. Exposure to more than 400 ppm CO may result in unconsciousness, brain damage and death. Low level CO detectors are designed to protect you and your customers by alarming far below the UL listing standard. They are an easy up-sell for a tighter home.